You can use the mobile apps to track your time with or without an internet connection, you just need to be logged in. 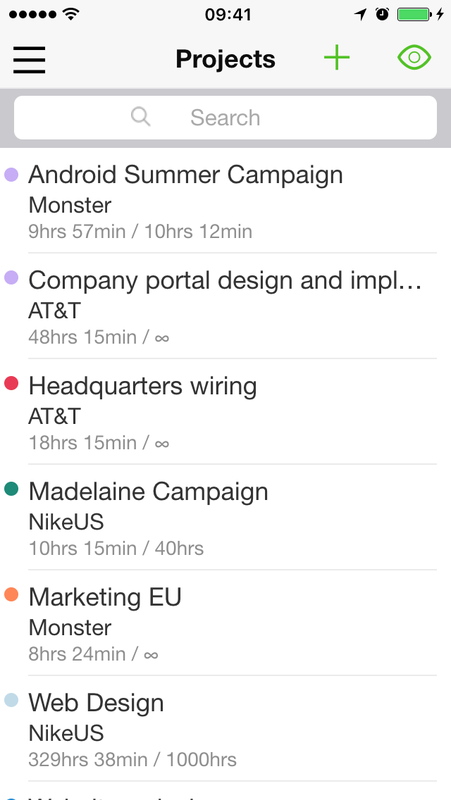 You can use the apps to add and manage clients, projects, your tasks and your time entries. 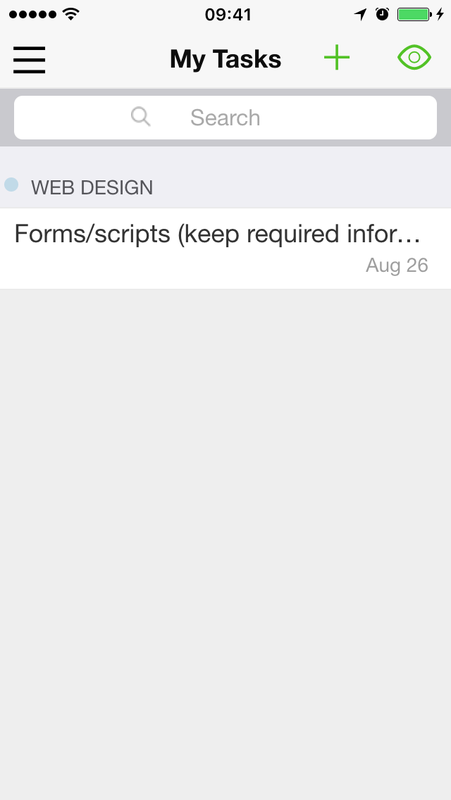 If you drag the project list, it will refresh and it will also display the Search option. 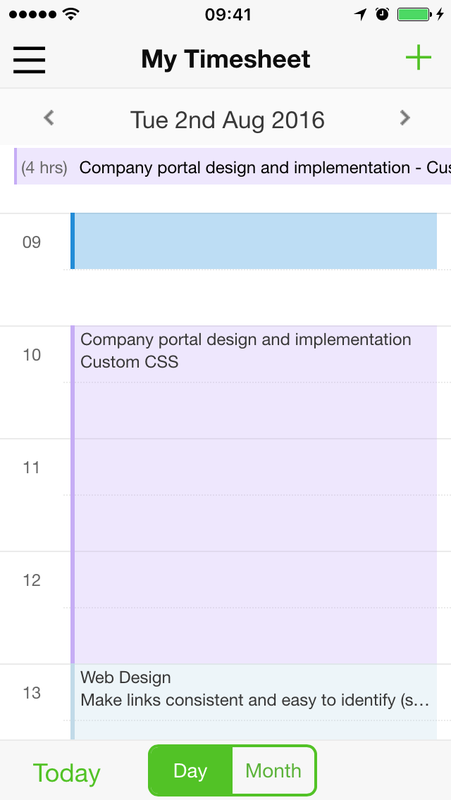 By using the Show icon on the top right corner you can switch between archived and active projects. 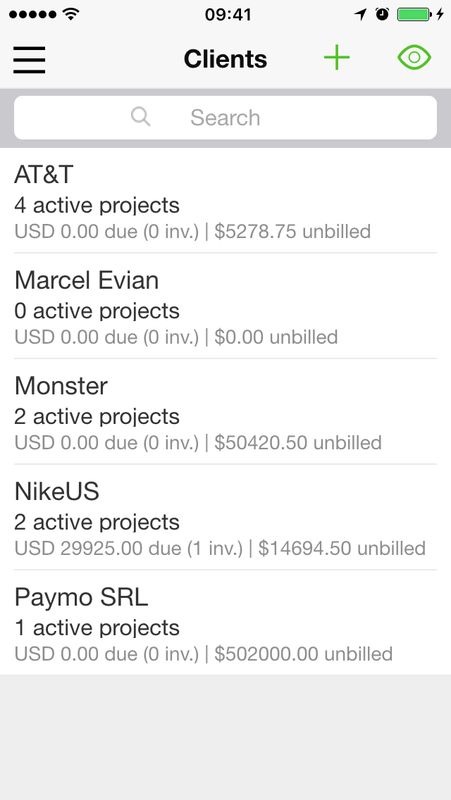 If you click on the “+” icon you will be able to add a new project, set budget hours, price/hour, color and assigned users. As with the Projects section, you can search your clients list, view archived or active ones or simply add new ones. You can choose to add their name or all their contact details by clicking on the More field. Allows you to add tasks for yourself, set due dates, budget hours, descriptions etc. Using the Show icon, you can also filter them by due date and see if they’re assigned specifically to you or if they’re simply part of the project you’re assigned to. Helps you add bulk or start-end time entries or view/edit your time entries. You also have a month and day view, depending on the details you wish to see. 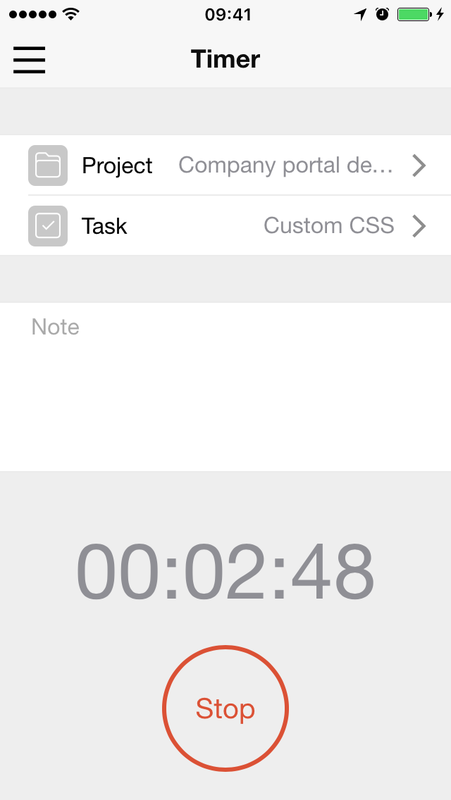 The timer is pretty straightforward: you select the desired project and task, add notes and start the timer. If you’re offline, the entries will sync automatically with the main account in a couple of minutes after you first connect to the internet.